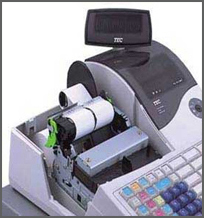 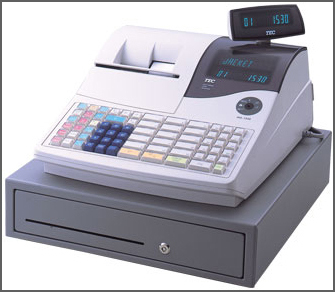 The product name and condition of the register can be confirmed at a glance by the clear alphanumeric display. 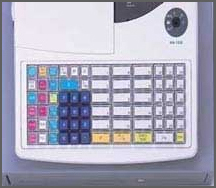 The display is a 10 character alphanumeric segment plus a 10-digit, 7 segment display for quantities and prices. 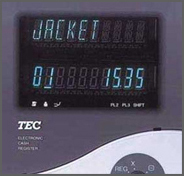 The customer display is a 10 character, 7 segment display used for displaying quantities and prices.